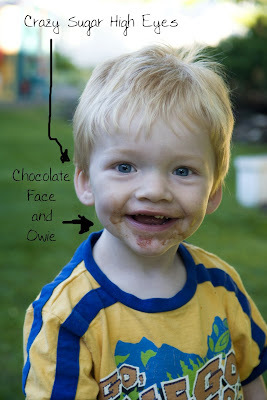 His face is as sweet as the ice cream! Deliriously Happy. The potty train outside! We had a busy weekend with ball and golfing. The power went out Sunday night during the last hole of the US open. What is a family to do when there is no power? 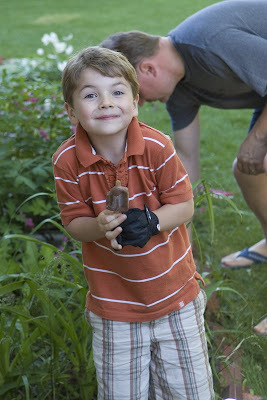 Clean the backyard and eat the icecream out of the freezer before it melts. 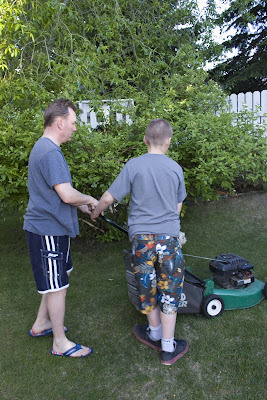 Pat is teaching Levi how to mow the grass and after one succesful job Levi is ready to start his own Lawn Care business. He is so much like his mom that he went right upstairs to make slogans. 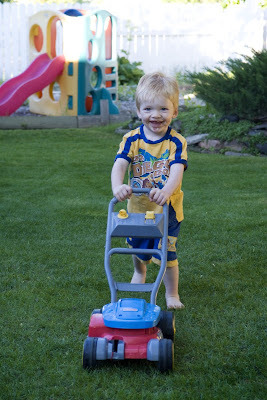 My favorites are "Lawn and Order", "You Grow, I Mow".